Despite its mission to keep people and their property secure, the company’s treatment of customer video feeds has been anything but, people familiar with the company’s practices told The Intercept. Beginning in 2016, according to one source, Ring provided its Ukraine-based research and development team virtually unfettered access to a folder on Amazon’s S3 cloud storage service that contained every video created by every Ring camera around the world. This would amount to an enormous list of highly sensitive files that could be easily browsed and viewed. Downloading and sharing these customer video files would have required little more than a click. According to the Intercept, this high-level access was provided to the company’s team in Ukraine in part because of failures in Ring’s object and facial recognition technology and in an attempt to better its product. Having previously reported on such alleged employee access in December, the Information said in its own report that users early on frequently complained of triggered alerts for such innocuous activity as a passing car. We take the privacy and security of our customers’ personal information extremely seriously. In order to improve our service, we view and annotate certain Ring video recordings. These recordings are sourced exclusively from publicly shared Ring videos from the Neighbors app (in accordance with our terms of service), and from a small fraction of Ring users who have provided their explicit written consent to allow us to access and utilize their videos for such purposes. Ring employees do not have access to livestreams from Ring products. Notably absent from a nearly identical statement from the company issued to the Intercept is the claim by the company that “Ring employees do not have access to livestreams from Ring products.” Asked by Gizmodo whether this apparently became the case before or after reporters began researching the alleged employee access to livestreams, a spokesperson said: “Ring employees do not and have never had access to customer live streams.” A spokesperson did not answer further questions about employee or contractor access to livestreams or sensitive user data. 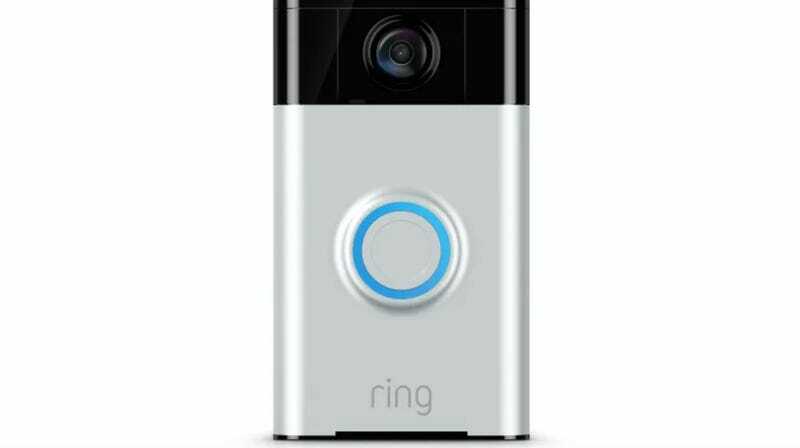 This is not the first time Ring has been accused of serious violations of privacy. The Information previously reported last May that the company—which was acquired by Amazon last year in a deal reportedly valued at around $1 billion—through a security flaw allowed users who were logged into Ring’s app to maintain access to the account even if the password was changed. While the company said it had changed the feature last January, the problem reportedly persisted. It shouldn’t be too much to ask that having a security device in your home doesn’t, you know, jeopardize it.